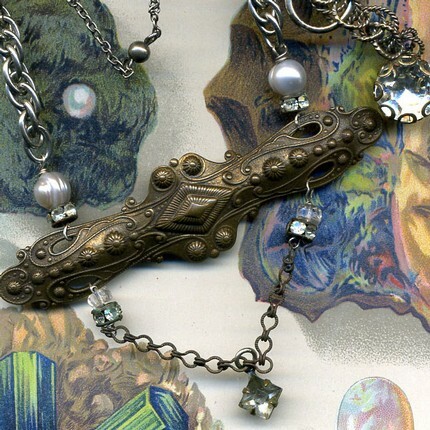 Ohhhhhh I adore the texture and patina of this necklace. An old brass brooch has two crusty old vintage rhinestone rings and antique glass beads. 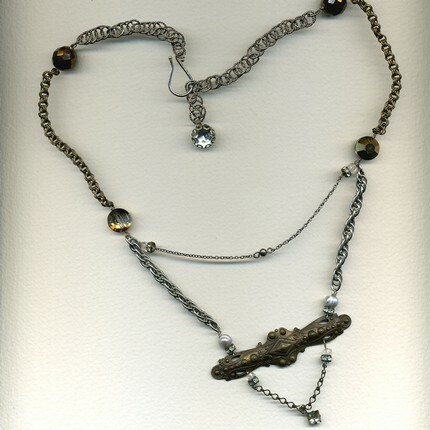 Wonderful old, rusty chain hangs from it and a vintage rhinestone bauble dangles in the center. Above the brooch more yummy green with age rhinestone rings support two gorgeous old, rough, gray pearls. 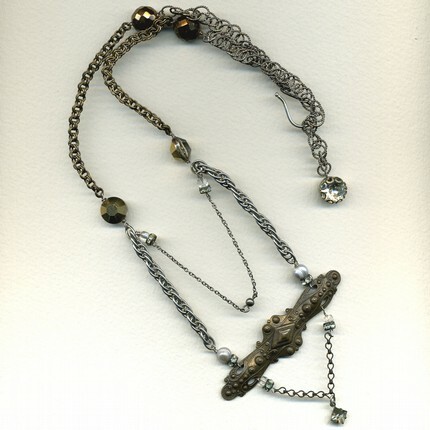 The rest of the necklace is made up of various vintage chain, old bronze colored crystals and faceted beads. It ends with a sterling 's' hook and a vintage rhinestone button (large!) hangs from the back. This is a longer necklace---it's about 24 inches long, but can be shortened to about 19 inches thanks to the extension links. Cheers to a great patina!